The Kitchen Is My Dance Floor: Help Raise Money for your Organization with Shirts from TeeSpring.com! Help Raise Money for your Organization with Shirts from TeeSpring.com! that would make a great t-shirt? 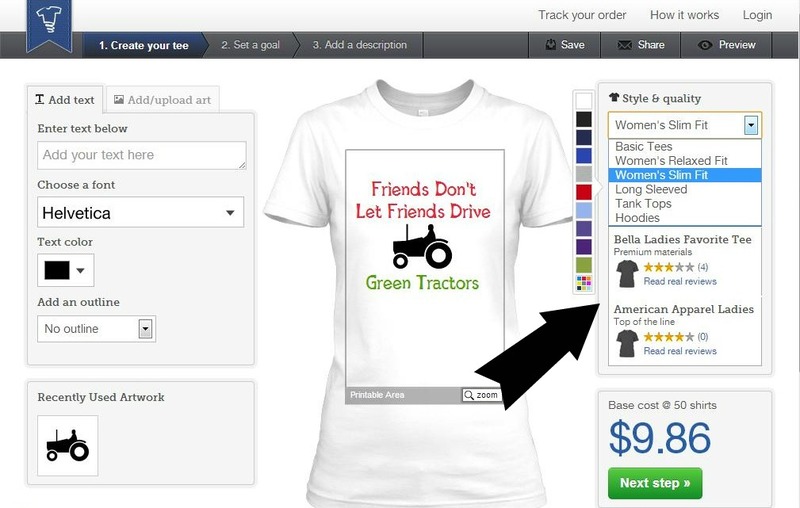 A while back I made a t-shirt on a popular t-shirt making website. It was super difficult.....because.....I'm not a graphic designer! and it took me forever to re-size my logo up enough for it to work. What a breath of fresh air!!! and have ZERO design experience! 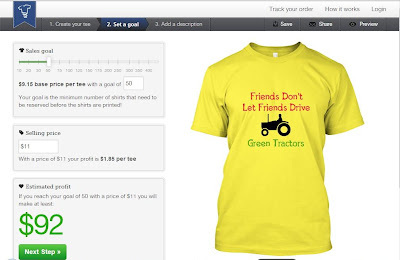 TeeSpring is geared towards people that would like to raise money for certain situations. 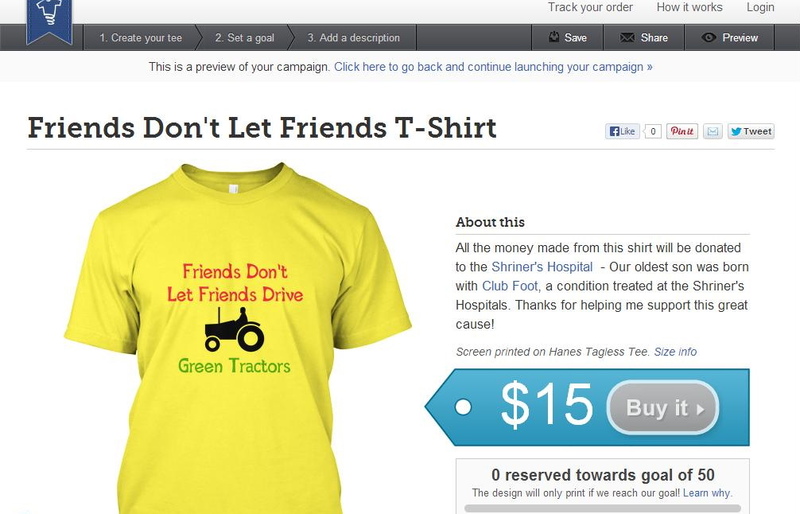 Like, this couple that made and sold shirts to fund their adoption. Or this shirt that raised over $85,000 for Boston relief. 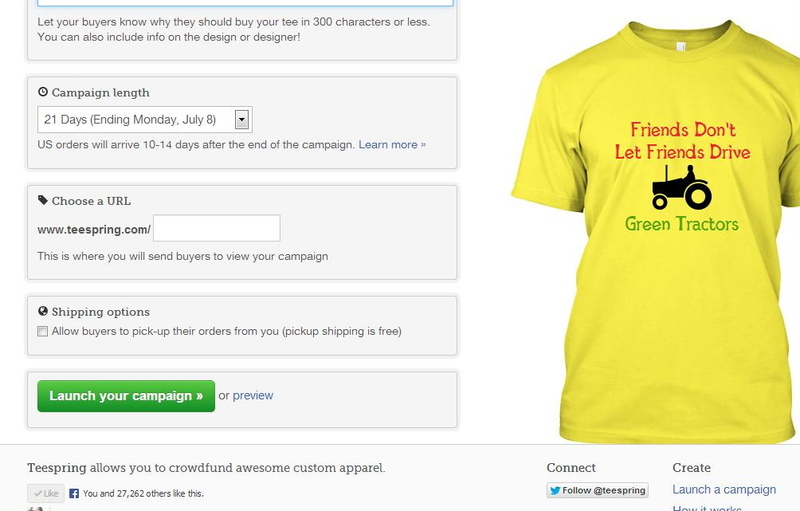 With TeeSpring, there is no investment from you...at all....ever. Unless you buy one of your own shirts! 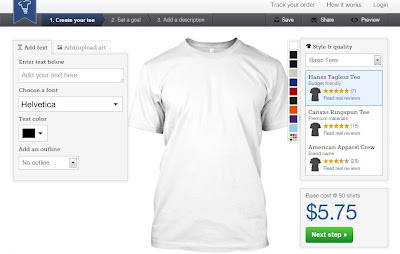 The beauty is that you can make and sell a shirt for anything! I even made a shirt! I'm going to donate all of my proceeds to the Shriner's Hospital. 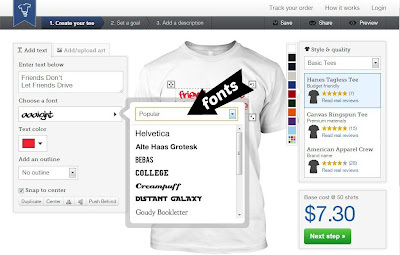 Deciding what you want your shirt to say is probably the most difficult part of making a t-shirt on TeeSpring. 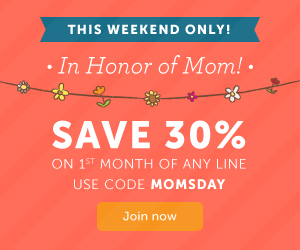 There is so much flexibility on TeeSpring! 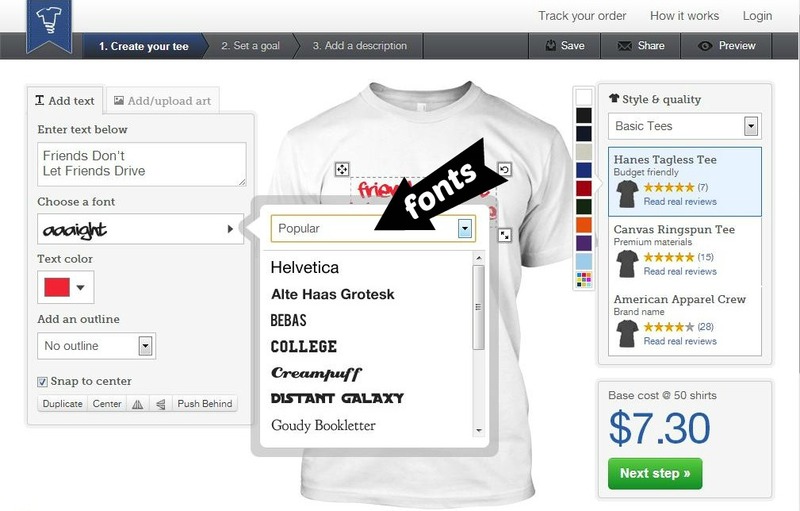 They have a ton of fonts available. And you can make it as big or as small as you like and move it around the shirt any which way, along with changing the color. If you wan to add an image, you can do that too. They make it easy with a TON of images...all nicely categorized for you! You can also upload your own image! TeeSpring also has a great selection of shirts for you to choose from. T-shirts, tank tops, hoodies and more! You'll be able to see the base price for each shirt too. 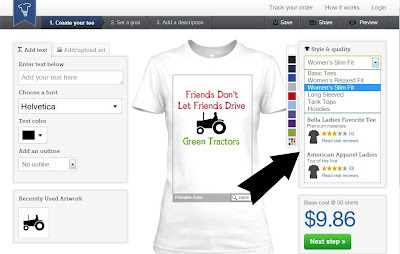 I love the different colors you can choose too - and be able to see right in front of you what your shirt will look like. 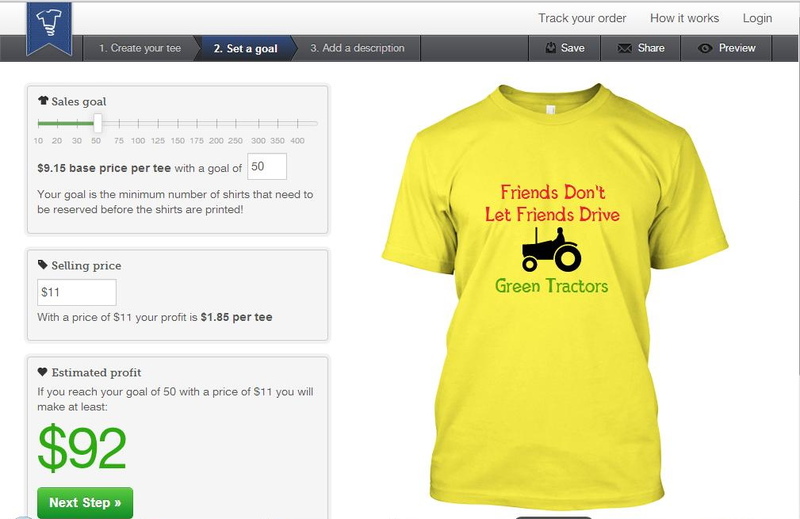 Then you move onto your sales goals and how much you want to sell your shirts for. 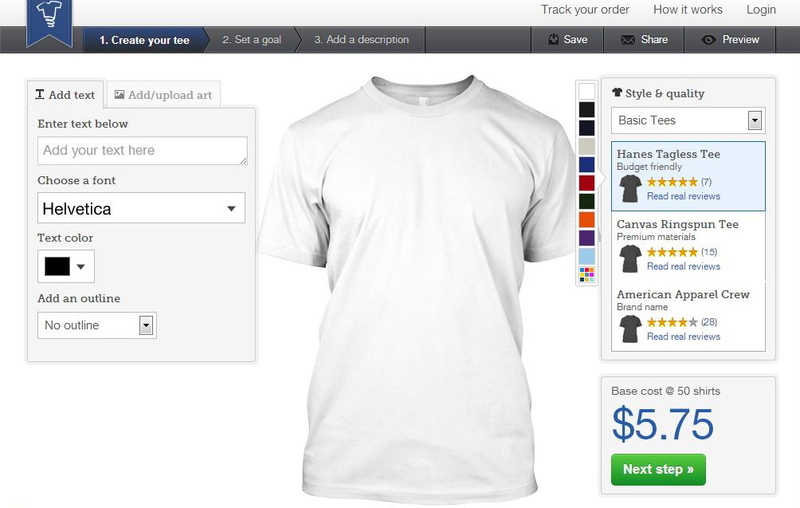 TeeSpring will tell you exactly how much money you will make it you sell "X" amount of shirts for "X" dollars. And they'll send you all the proceeds to your Paypal account. Can't get any easier then that. After that, you get to name your shirt...and tell folks why they should buy it. 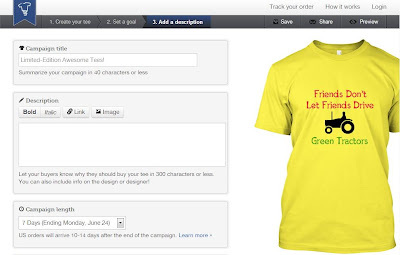 You get to choose how long your "campaign" lasts (the amount of time your selling your shirt). 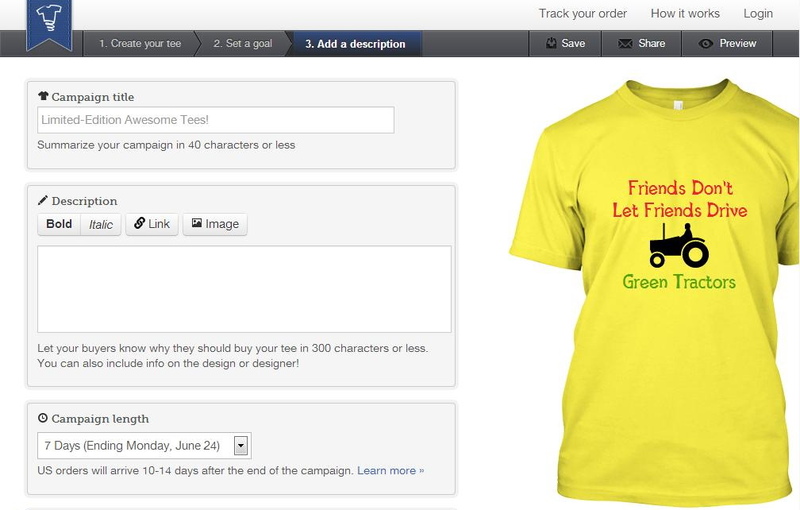 Lastly, you name your website link, where buyers can go directly to purchase your shirt. You can preview your site and then you're ready to sell!! It's so easy, I made a cool looking shirt...and it took me LESS then 10 minutes! I love this site so much, I made two shirts! 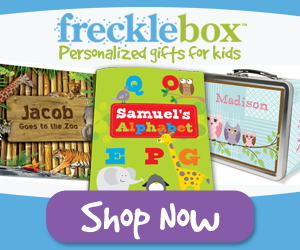 Head over and check out TeeSpring now! I promise you'll love it! 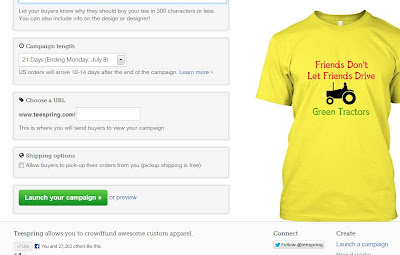 Come back and leave the link for your TeeSpring shirt! I'm entering your PayPal giveaway, & wasn't sure if I should comment here, or on that post. Anyway, iIll do both. I was so impressed with this idea I pinned it.